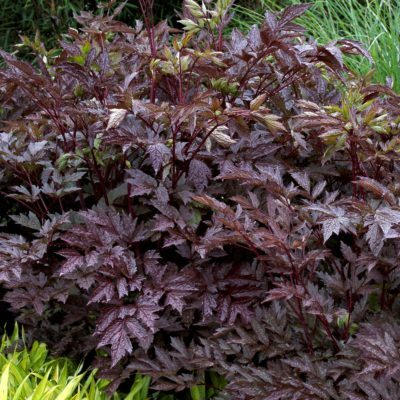 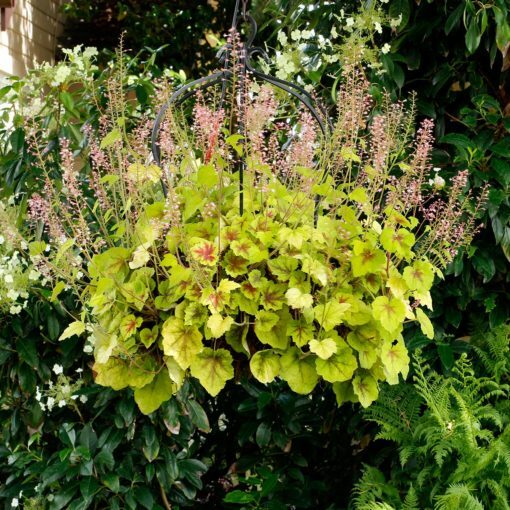 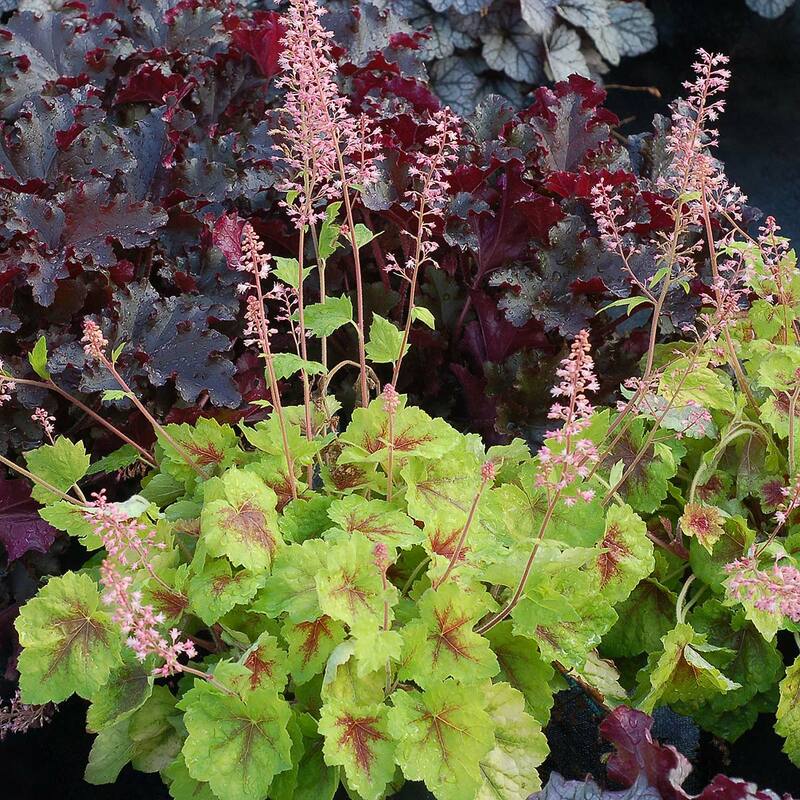 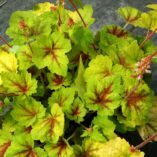 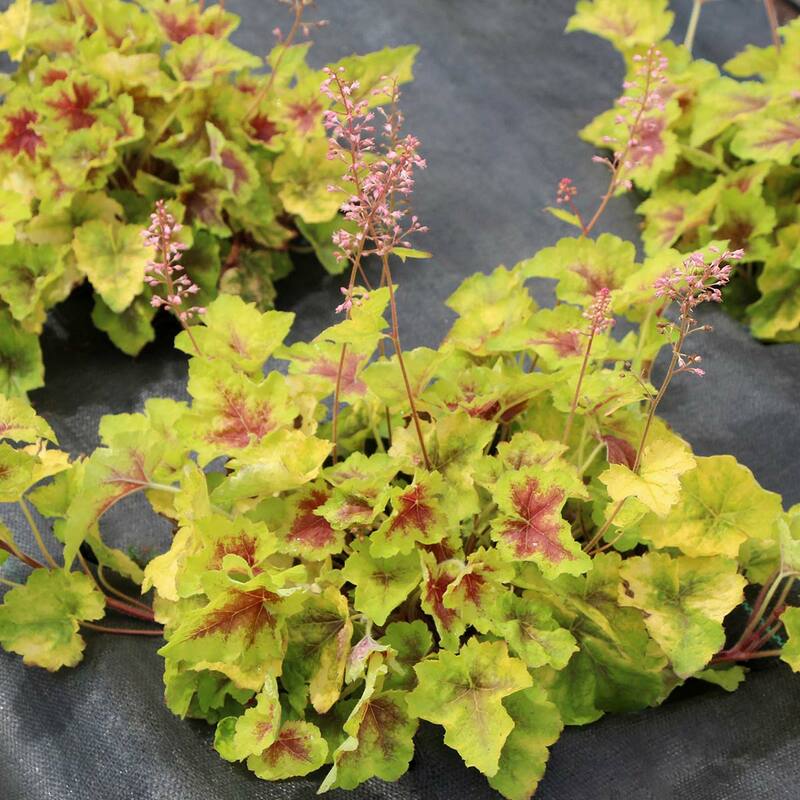 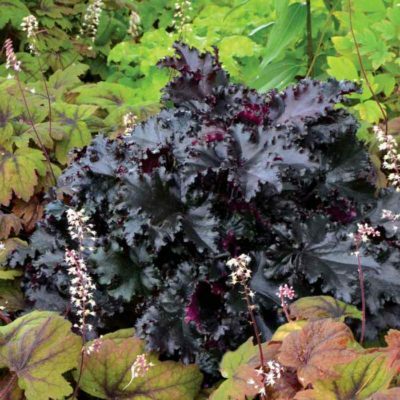 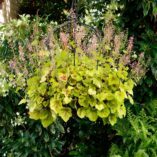 Heucherella ‘Hot Spot’ | TERRA NOVA® Nurseries, Inc.
'Hot Spot' combines the best of both worlds: bright pink flowers and a trailing habit. 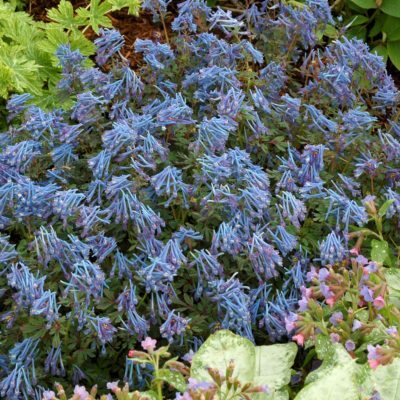 With a long bloom time and creeping habit, this plant makes an excellent container plant or a groundcover. 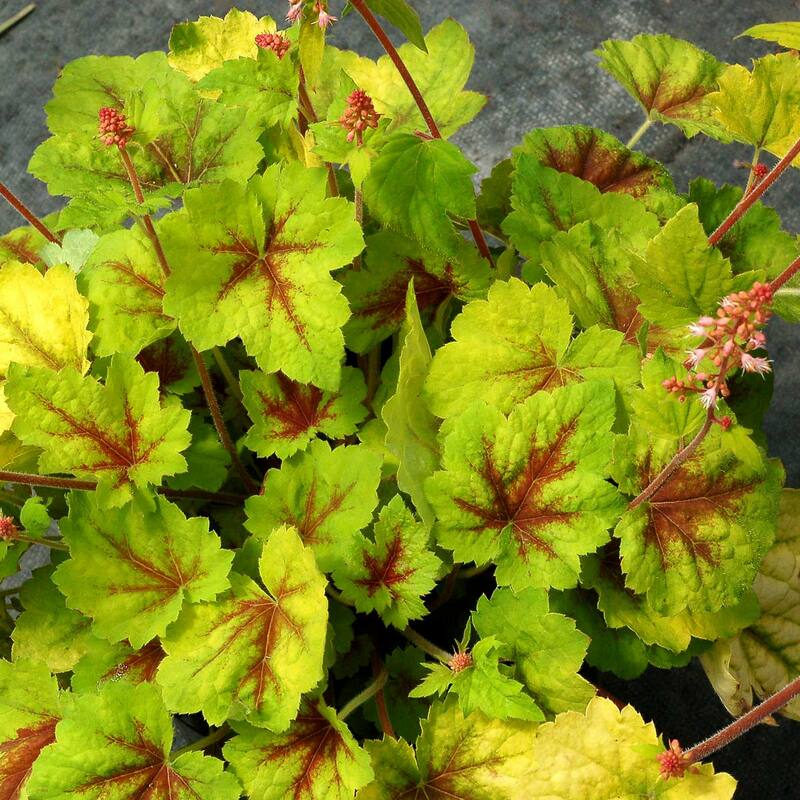 A large red spot in the center of lime-green leaves will draw your eye from across the garden! 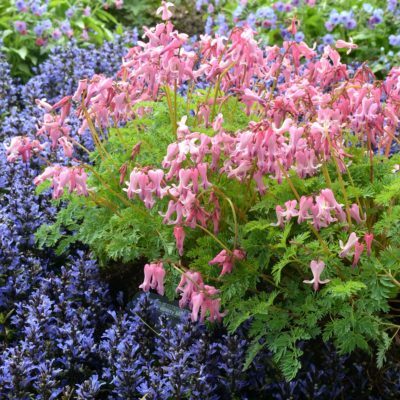 Blooms from late spring until frost here. 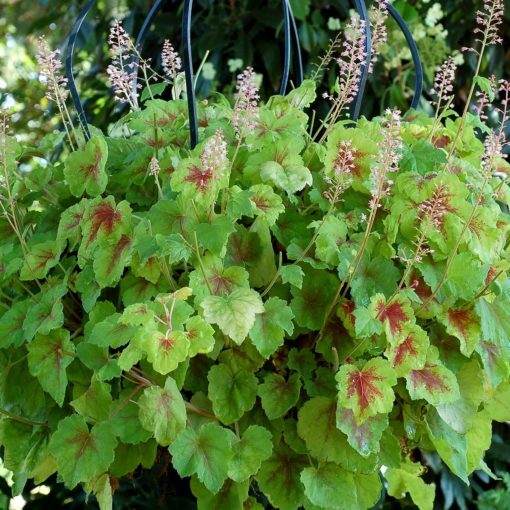 8" / 24" / 14"
Trailing habit, lime green leaves with prominent center spot, and with great pink flowers. 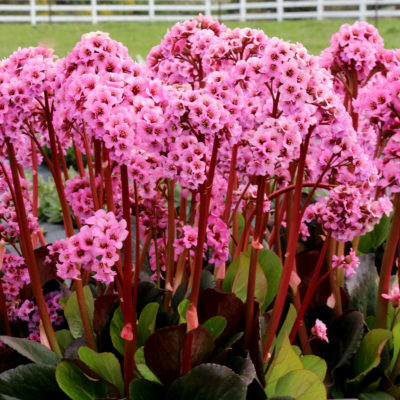 Given 4/5 points in trials at Disneyworld in Florida warm season 2016 – "tons of bloom spikes".